Golden Globe-nominated actress Jane Lynch is best known for her role as cheerleading coach Sue Sylvester in the Fox TV show Glee. She is a supporter of PETA. Read more about Jane Lynch0s charity work and events. Ronald McDonald House Charities, Inc. creates and supports programs that directly improve the health and well being of children. Ronald McDonald House provides a home for families of seriously ill children receiving treatment at nearby hospitals. Ronald McDonald Family Room, usually beside pediatric and intensive care units within hospital, provides a place to enjoy a warm meal, talk with other parents and relax. Ronald McDonald Care Mobile brings cost-effective, high-quality medical, dental and health education services directly to underserved children in rural and urban areas across the globe. Read more about Ronald McDonald House Charities0s work and celebrity supporters. This year's Call for Code 2019 Global Challenge focuses on supporting the health and well-being of people and communities affected by natural disasters. "Since Call for Code launched last year, we received submissions for the Global Challenge from 156 nations, which contributed to making Call for Code the largest engagement of developers in history," said Call for Code creator David Clark. "We're also grateful for the support we're continuing to receive from celebrities, athletes and renowned organizations. 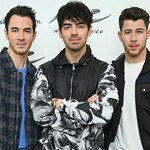 In support of Call for Code on World Health Day, I'm grateful to Celine Dion, The Jonas Brothers, Robin Thicke, Monica, Laurie Hernandez, Apolo Ohno, Brian Littrell, Little Big Town, United Nations Human Rights, the Clinton Global Initiative University, and many others who helped promote Call for Code globally via their social followers." Projects can be submitted by individuals -- or teams of up to five people -- between March 25, 2019 and July 29, 2019. Holding the elevator for a stranger. Buying a coffee for the next person in line. Cheering up a friend who is down. Giving a warm smile while working the drive-thru window. These are just some of the small ways people make the world a brighter place. LEDVANCE, the makers of SYLVANIA general lighting in the United States and Canada, and the non-profit Be the Light Campaign are announcing the "Who Lights Up Your World?" Contest to find, recognize and reward people who give off positive energy, joy and light. "Be the Light is focused on the importance of hope. We believe that mental health is just as important as physical health, and that small moments of kindness can alter the course of someone's day. These can have a rippling effect that positively impacts more and more people over time," said Melissa Syler, founder of Be the Light Campaign. "Working with the makers of SYLVANIA general lighting, we invite the nation to be an agent of change. Be a part of something larger than yourself. Be the Light." Starting today through July 31, 2019, you can nominate anyone who exemplifies what it means to "Be the Light" by clicking here to thank that special person who lights up your world. Examples could include a person who exudes positivity, is always willing to help when needed, or is an inspirational role model. You could nominate a friend, family member, co-worker, or anyone you know. Out of the nominations, 25 people in the United States who best embody the "Be the Light" concept will receive a Thank You Gift that includes a $50 VISA Gift Card and SYLVANIA LED lighting products. If your nominee is selected, we will reward you with a $20 VISA Gift Card and SYLVANIA lighting products too! These selected stories of light-hearted people will be shared online with the hope they will ignite a movement toward positivity and help inspire others to Be the Light. SYLVANIA LED light bulbs can last up to 22 years and save up to 85 percent on electricity. "SYLVANIA lighting products have been illuminating homes and businesses for over a century, providing light where you need it. It's heartwarming to know that people across the nation are also providing light when others need it through simple acts of kindness," said Wolfgang Mailaender, Head of Marketing for U.S. and Canada, LEDVANCE. 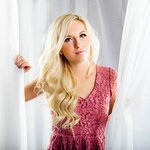 Billboard Artist to Watch Jessie Chris is a brand ambassador for the joint campaign between the makers of SYLVANIA light bulbs and Be the Light Campaign. Growing up in Massachusetts where being a country music fan wasn't popular in school, Jessie was constantly bullied by her peers. She didn't let that stop her from following her dreams of performing. Now she is a recognized country music artist, performing at concerts, walking red carpets and releasing music with other top musicians. "I feel it's important to me to Be the Light for others, like how my parents were for me when I was going through dark times," said Chris. "This is why I have been traveling to over 100 elementary schools across the nation to share my story of overcoming adversity to help students that are dealing with being bullied. That's also why I am so excited to be a part of this initiative to recognize those that spread light." The Felix Organization was founded by Run-DMC Founder Darryl McDaniels and Emmy-award winning casting director Sheila Jaffe, who were both adopted. Their annual event "Dance this Way" honors Dream Makers that bring love, light and generosity to children living in the foster care system. Previously, fourteen-year old Jaron Albert Fisch donated more than $8,000 from his rap bar mitzvah to the organization and was honored at the event. This year, yoga teachers Kay Kay Clivio and Tanya Pergament will be recognized for their efforts over the past seven years to bring yoga to children in foster care. As volunteers for The Felix Organization, they bring light to this population of children at the annual Camp Felix, a summer camp specially designed for this population in upstate New York. The duo also created the charity's annual fundraiser OM THIS WAY and have raised thousands of dollars to enrich the lives of children growing up in the foster care system. Heading Home is a non-profit that provides emergency shelter, transitional housing, permanent housing, and supportive services to homeless and formerly homeless families and individuals in the Greater Boston area. "Renee is a Program Manager at Heading Home and she approaches her work from a base of love and compassion, working with homeless families to overcome difficulty and help them thrive," said Meaghan O'Donnell, Director of Family Services, Heading Home. "In her three-year tenure, Renee has worked with close to 50 clients and their children to help them see all the possibilities in their lives. When clients arrive in our shelters, they are often completely broken, not able to see what they can achieve. Renee is especially gifted in the way she assists clients to regain lost hope and passion in their lives. Starting from a base of compassion, genuinely curious to know their story, Renee listens closely for a small spark of positivity. Somehow able to tap into the smallest mustard seed of hope, Renee helps clients hear themselves and begin to realize that success comes in small steps. By lighting the smallest flicker of hope, clients begin to realize what they can do! Renee is a master at building worthiness, in spreading light, and giving hope to those who are often hopeless," said O'Donnell. "We love doing our podcasts because of the friendships we have made, both with the others who work on the shows or listeners who share our passion for movies and collecting," said Carvalho. "However, the joy of podcasting deepened for us when we started getting notes from listeners telling us how our shows helped them through rough times. One person discussed their bout with depression and medical issues and said she thought she would never laugh again. Then she found our show and found herself laughing while in the hospital. She told me laughter is the best medicine, and honestly that's why I started doing podcasts. Growing up I went to movies and video games for my entertainment. A tough day at home or at school could get me down, and a movie could bring me back up. When I turned 22 and started to really question what I wanted to do with my life, the answer was to entertain people. It's often considered ignoble, but my thinking is that people need something to bring them up when they're feeling down." Carvalho continued, "I never thought Now Playing and the other shows would have the reach that they do…EVER…but when I get e-mails like these it reminds me why I started doing this in the first place. I understand the power of entertainment and consider it one of the essentials of life. So, I started podcasting with the thought that maybe people would be entertained, and it would take their mind off some troubles the way I needed." When Lisa Carroll lost her sister to cancer, she battled fierce depression. "Painting became a form of therapy for me, and I began painting and hiding rocks for others to find all around my town and the surrounding areas – fun rocks, inspirational rocks, love rocks, all kinds," said Carroll. "Now, I paint hundreds of rocks a month as part of my way of spreading light. I choose to Be the Light in someone's day even if it's just one person. The best part is the messages I receive about how much my rocks mean to them and the community." 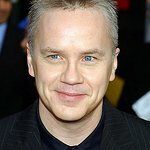 The inaugural Faith, Hope & Charity Gala, presented by Catholic Charities of Los Angeles, will honor Tim Robbins and The Actors' Gang with the Compassionate Advocate Award at a gala benefitting the organization's Immigration and Refugee Resettlement Program on Saturday, April 27 at De Luxe Banquet Hall in Burbank, CA. The evening will be hosted by 4-time Emmy Award-winning journalist, Leyna Nguyen ("Teenage Mutant Ninja Turtles") and will also honor PwC US (PricewaterhouseCoopers), Mosaic Church founders Erwin and Kim McManus, and community activist Nam Loc Nguyen. 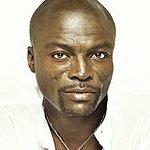 The Faith, Hope & Charity Gala will also include a special performance by Musical Director Greg Wright (songwriter/producer for Diana Ross, Natalie Cole, The Jacksons, Marvin Gaye). Catholic Charities of Los Angeles' Immigration and Refugee Resettlement Program provides support and advocacy to individuals and families by helping them to legalize their residency status and become naturalized citizens. The program works to help vulnerable immigrants and refugees achieve legal status, self-sufficiency, family unity, cultural integration and long-term success by providing exceptional legal and social services. The Faith, Hope & Charity Gala is generously sponsored by Kieu Hoang Winery, The American Fundraising Foundation (AmFund), and singer, actor and philanthropist Ha Phuong ("Finding Julia"). 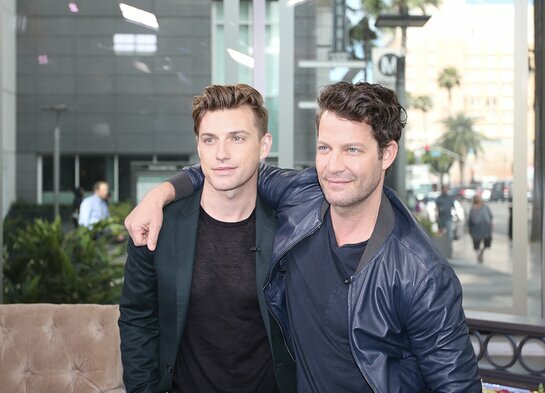 Covenant House California will host A Night of Hollywood Stars at the NOVO THEATER AT L.A. LIVE in Los Angeles on April 27th, 2019, commemorating 30 years of impacting the lives of the Los Angeles' homeless youth. The singer made the surprise visit at the Activate event in the capital Prishtina, UNICEF Kosovo's annual event which promotes innovative initiatives developed by young people involved in UPSHIFT. The programme provides training, financing and mentorship opportunities to young people to launch their own projects designed to help their communities. Rita said: "I'm so happy to be back in Kosovo and honoured to be meeting children and families supported by Unicef. This is my first trip with Unicef and seeing how the programmes positively impact the health and development of children drives home how important it is for us all to keep supporting Unicef. "I can't wait to tell everyone more about the work I have seen, the people I've met and why I'm so proud to be involved in Soccer Aid for Unicef this year." Rita's visit to Kosovo was in support of Soccer Aid for Unicef 2019 and more information will be announced in due course. The evening will take place on Thursday, May 16, 2019, beginning at 6:30 pm at the Wallis Annenberg Center for the Performing Arts and will feature performances from beloved artists including Idina Menzel, Megan Hilty, Andrea Martin, Liz Callaway, Angel Blue and many others! Proceeds from the night will support the artistic, education, and outreach programs of The Wallis which serve more than 70,000 audience members annually, including thousands of underserved students from throughout the greater Los Angeles area with limited access to the arts. Honorary Co-Chairs are Wallis Annenberg, Alan Menken, and Julie & Marc Platt. Event Co-Chairs are John Bendheim and Cathy Louchheim. Support for the event includes Official Beverage Sponsor Wally's Beverly Hills; Media Sponsor Angeleno Magazine and catering provided Wolfgang Puck. Tickets are now on available at TheWallis.org/Celebration. "Over the past three seasons, we have been privileged to become the Los Angeles home of Stephen's annual musical theater workshop along with our partners at ASCAP," said The Wallis' Artistic Director Paul Crewes. "It was through this collaboration that we have seen his dedication to fostering the musical theater art form and its next generation of artists -- and it is our honor to pay tribute to his incredible breadth of work." Rachel Fine, The Wallis' Executive Director and CEO added, "In alignment with Stephen's on-going commitment and devotion to aspiring songwriters, this special evening will provide significant funds for The Wallis to continue its work of producing and presenting works of new artists, as well as bringing the arts to thousands of students and young adults across the Los Angeles community -- many of whom will experience music, theater or dance for the very first time." DKMS is an international nonprofit fighting blood cancers and blood disorders. It all started with one family's search for a bone marrow donor. Today, DKMS is the world's largest bone marrow donor center. So far, DKMS has registered 9 million potential donors and facilitated 77,000 transplants. However, thousands of patients are still waiting for their lifesaving matches. Celebrating Broadway's Biggest Night in Los Angeles, the gala fundraiser will feature red carpet arrivals, cocktail hour, gala dinner, live performances, silent auction, and the West Coast's exclusive live feed of the 2019 Tony Awards broadcast from New York City. Tickets are currently on sale here. Individual tickets are $300 (limit six per person) and tables of 10 start at $3500. Are you organizing an event which celebrities will attend? Tell us about it so we can spread the word! The Blue Card held its 83rd annual benefit gala on Monday, April 8, 2019 at the Museum of Jewish Heritage in NYC. The evening was hosted by Bravo's Andy Cohen. The evening included the presentation of awards to individuals and groups dedicated to supporting the needs of Holocaust survivors and advancing human rights worldwide. The honorees included: Joe Biden, 47th Vice President of the United States; Stanley Bergman and Dr. Marion Bergman of Henry Schein, Inc. and the Henry Schein Cares Foundation; David Miliband, President and CEO of the International Rescue Committee and former UK Foreign Secretary; New York Foundation for Eldercare; and past participants in The Blue Card's Bnei Mitzvah Project, a program where Bar and Bat Mitzvah students engage with and perform acts of service for survivors. "The Blue Card is proud to recognize Vice President Biden, Stanley and Dr. Marion Bergman, David Miliband, the New York Foundation for Eldercare and alumni of our Bnei Mitzvah Project for their dedication to raising awareness and taking action to support the current plight of Holocaust survivors in the United States who are so critically in need of financial assistance," said Masha Pearl, Executive Director of The Blue Card. "Thousands of Holocaust survivors from your neighbors to people you pass on the street lived through the unthinkable. The hard truth is for many of them survival still remains a struggle. Those individuals living at or below the poverty line must make difficult choices -- whether to pay rent, buy food or get desperately needed medicine. The Blue Card's goal is to raise funds for current programs which deepen our connection with survivors in communities currently being underserved. We greatly appreciate the work of this year's honorees, and are looking to the larger community to help spread awareness about those still in need." Today, WE Day, the greatest celebration of social good, announces the dynamic lineup set to hit the stage at WE Day California, taking place at the "Fabulous" Forum on April 25, 2019. "Every year, WE Day leaves me feeling inspired and hopeful. The youth have an incredible positive and passionate attitude for making real change in the world" says actress and multi-platinum recording artist, Selena Gomez. "I'm so proud to celebrate young people's year of social change and to remind them that together, we are an unstoppable movement dedicated to a brighter and better tomorrow." More than a one-day event, WE Day is connected to the free, yearlong program WE Schools. Designed to enhance a school or community's existing social initiatives or spark new ones, WE Schools provides participants with curriculum, educational resources and action campaigns, encouraging students to further their curricular learning and develop life skills to succeed beyond the classroom. In the 2017/2018 school year, over 1260 schools and school groups across California improved the world through WE Schools, volunteering over 1.4 million hours and raising more than $1,000,000 in support of over 660 global and local causes including bringing awareness to homelessness, food security, LGBTQ+ rights, access to education, access to clean water in oversees communities and environmental issues. "Across America, we are surrounded by young leaders who are working together to positively impact their local and global communities. It's incredibly inspiring to see young people who are committed to changing the world," said Craig Kielburger, co-founder of WE. "WE Day California will bring together thousands of students who are raising their collective voice as they work towards creating a future for all — this generation is speaking up and the world is listening." WE Day is free of charge to students and educators across the U.S. thanks to the generous support of sponsors led by National Co-Title Sponsor The Allstate Foundation and Co-Title Sponsor Unilever. This means students can't buy a ticket to WE Day California — youth from across the state earn their way by taking action on one local and one global issue of their choice. GLAAD, the world's largest lesbian, gay, bisexual, transgender, and queer (LGBTQ) media advocacy organization, announced today that actor and performer Shangela will host the 30th Annual GLAAD Media Awards in New York, while CNN news anchor Anderson Cooper will present the Advocate For Change Award to previously announced honoree Madonna, on Saturday, May 4, 2019 at the New York Hilton Midtown. Emmy and Golden Globe Award-winning actress Rachel Brosnahan ("The Marvelous Mrs. Maisel"), model and activist Winnie Harlow, multiple Emmy and GLAAD Media Award-winning director and producer Ryan Murphy ("Pose") will join previously announced special guests Samantha Bee ("Full Frontal"), CNN's Don Lemon, and the cast of FX's "Pose," including 2017 GLAAD honoree Billy Porter. GLAAD previously announced that Sarah Jessica Parker will present the Vito Russo Award to Andy Cohen. For the first time, GLAAD's New York awards ceremony will be broadcast on Logo on Sunday, May 12, 2019 at 8pm ET/PT. The 30th Annual GLAAD Media Awards are supported by Presenting Partners Delta Air Lines, Gilead, Hyundai, Ketel One Family-Made Vodka, and Wells Fargo. Actor and performer D.J. "Shangela" Pierce will host the event. Most recently, D.J. "Shangela" Pierce, brought the house down at GLAAD's LA ceremony, where he performed a now viral Beyoncé tribute in front of honorees Beyoncé and JAY-Z. Shangela is best recognized as the only contestant to compete on three separate seasons of the Emmy-award winning reality series "RuPaul's Drag Race" (seasons 2, 3 and All Stars 3). In 2018, Shangela starred in the critically acclaimed film "A Star Is Born" opposite Lady Gaga and Bradley Cooper and made headlines for walking the red carpet of the 91st Annual Academy Awards. Shangela recently completed a 184 plus city international tour, performing his comedy and cabaret act to sold out audiences. 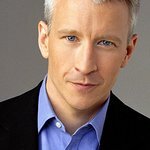 Anderson Cooper, anchor of CNN's "Anderson Cooper 360°," will present the Advocate for Change Award to Madonna. Madonna famously presented Cooper with GLAAD's Vito Russo Award at the 24th Annual GLAAD Media Awards. The Advocate for Change Award was given once before and is presented to a LGBTQ ally who, through their work, changed the game for LGBTQ people around the world. GLAAD previously announced that "Watch What Happens Live!" host Andy Cohen will receive this year's Vito Russo Award, which is presented to an openly LGBTQ media professional who has made a significant difference in accelerating LGBTQ acceptance. 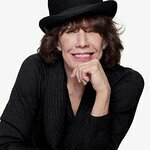 The Award is named for Vito Russo, a founder of GLAAD and celebrated ACT UP activist, who pushed open the door for news and entertainment industries to include LGBTQ performers and stories. Actress Sarah Jessica Parker will present the honor to Cohen. 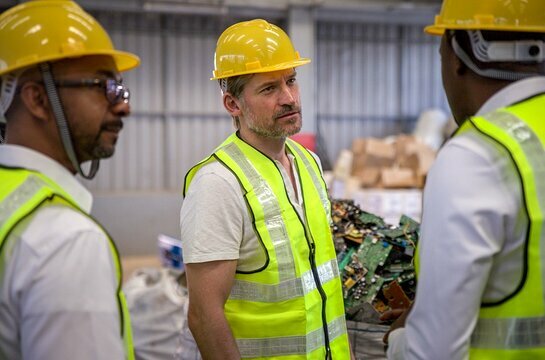 As the world braces for the surprising twists and turns of the highly anticipated final season of HBO's Game of Thrones, the show's star and United Nations Development Programme Goodwill Ambassador Nikolaj Coster-Waldau had an unexpected revelation of his own. "All I knew of Rwanda was that it was the scene of one of the worst tragedies in modern history: The genocide against the Tutsi people. Almost a million people killed," said Coster-Waldau, who visited the East African nation for the first time just weeks before the 25th anniversary of the genocide against the Tutsi on April 7. "I expected to find a country in despair," Coster-Waldau continued. "I couldn't have been more wrong." "From the moment I arrived in Kigali to the moment I left, I was constantly impressed by what I experienced," said Coster-Waldau. "By how rapidly change can happen if there is connection between the people and the political will of the government. And how the power of forgiveness is much stronger than the power of hate." "Rwanda is one of the most impressive stories of transformation not only in Africa, but anywhere in the world," said Stephen Rodriques, UNDP Rwanda Resident Representative. "We are grateful to Nikolaj for shining a spotlight on Rwanda and showing the world how a lesser developed country can lift itself up largely through its own resources and initiatives." "We need everyone in our society to be contributing towards the rebuilding of Rwanda. Not just 50 percent of society. And we need to include everyone in the opportunities." Nyirahabimana said. "It's just common sense." "Coming from Denmark — one of the world's wealthiest countries that takes pride in being at the forefront of innovation and a green, sustainable future — it was refreshing for me to see that it's possible to make the future better without it instantly being qualified by a price tag," said Coster-Waldau who was surprised to learn that Rwanda is ahead of many Western nations when it comes to climate action, having abandoned the use of plastic bags ten years ago and with plans underway to stop the use of single-use plastics. "But Rwanda has shown a commitment towards positive change and, on their terms, has been willing to accept help from, among others, UNDP, which has partnered with the government and its people to help them in the transition process." After months of protests in Sudan, President Omar al-Bashir has been ousted by the country's military. 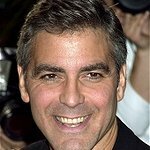 George Clooney and John Prendergast, Co-Founders of The Sentry, said: "The people of Sudan have been waiting for this day for a long time, but it is only a tentative first step towards real change. The general who has taken over in this palace coup, Awad Ibn Ouf, has been sanctioned by the United States for orchestrating war crimes in Darfur, just as the just-deposed Omar al-Bashir has been. Bashir is also wanted for genocide and war crimes perpetrated in Darfur, and should be extradited and tried in The Hague for those crimes. However, removing the leader of a violent, corrupt system without dismantling that system is inadequate. The next steps are crucial. The international community must provide all possible support to ensure that the transition is a negotiated and inclusive one, and that the next president of Sudan reflects the will of its people." The Eugene O'Neill Theater Center will honour John Logan at the 19th Annual Monte Cristo Awards. The Monte Cristo Award is presented to a prominent theater artist each year in recognition of a distinguished career exemplifying Eugene O'Neill's "pioneering spirit, unceasing artistic commitment, and excellence." Past recipients of the Award include Lin-Manuel Miranda, Judith Light, Meryl Streep, Michael Douglas, James Earl Jones, Nathan Lane, Harold Prince, and George C. Wolfe. The O'Neill is the country's preeminent organization dedicated to the development of new works and new voices for the American theater. Founded in 1964, and named in honor of Eugene O'Neill, four-time Pulitzer Prize-winner and America's only playwright to win the Nobel Prize in Literature. The Launchpad of the American theater, the O'Neill has been home to more than 1,000 new works for the stage and thousands more emerging artists. Scores of projects developed at the O'Neill have gone on to full production at theaters around the world. O'Neill programs include the National Playwrights Conference, National Music Theater Conference, National Critics Institute, National Puppetry Conference, Cabaret & Performance Conference, and National Theater Institute -- which offers six credit-earning undergraduate training programs. In addition, the O'Neill owns and operates the Monte Cristo Cottage as a museum open to the public. The O'Neill is the recipient of two Tony Awards and National Medal of Arts. 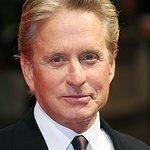 Expected guests include Michael Douglas, Lin-Manuel Miranda, Judith Light, Michael Grandage, Aaron Tveit, Kate Baldwin, Cian McCarthy, Kyle McArthur, Reed Birney, Heidi Blickenstaff, Hunter Bell, Michael Berresse, Jeff Bowen, Alexander Gemignani, and Preston Whiteway (Executive Director of the O'Neill) and more. The Lymphatic Education & Research Network (LE&RN) proudly presents the 2019 Walk to Fight Lymphedema & Lymphatic Diseases. 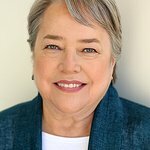 You're invited to join LE&RN's Spokesperson and Academy Award-winner, Kathy Bates who will be kicking off the California Run/Walk and with hundreds of LE&RN supporters in their fight against lymphedema and lymphatic diseases. You can run or walk this 5K course on behalf of the estimated 10 million Americans and 250 million worldwide who are fighting this Lymphedemic. LE&RN's mission is to fight lymphatic disease and lymphedema through education, research and advocacy. More people are affected by these diseases in the U.S. than suffer from Multiple Sclerosis, Muscular Dystrophy, ALS, Parkinson's Disease, and AIDS -- combined. LE, an incurable and chronic disease that results in disfiguring and disabling swelling of body parts, affects an estimated 15% of all cancer survivors and up to 30% of breast cancer survivors. Those afflicted with Primary LE are born with the disease, but can develop symptoms at any time. Yet our community suffers from a lack of awareness, misdiagnoses, and a shortage of treatment facilities, leading to a "Lymphedemic." Erasing the Stigma Leadership Awards will take place in Beverly Hills on April 25. The Erasing the Stigma Leadership Awards is an annual event thrown by Didi Hirsch Mental Health Services, a leading non-profit provider of free community mental health and substance use services for children and adults for over 75 years. The agency is also home to the nation's first Suicide Prevention Center, a national leader in training, research and services. Expected to attend are Authors Nic Sheff and David Sheff (Honorees, Beautiful Boy), The NFL Players Association, INC. (Honoree), Filmmaker Willam "Michael" Barbee (Honoree, Beyond the Silence film premiering at the Cannes Film Festival in May 2019), Musician Alex Boye (Honoree), Kathy Ireland (Presenter, Supermodel-turned-supermogul, and NFL Players Inc. Board of Directors member), Actor Bill Duke (Presenter, stars in Beyond the Silence), Actor Jack Dylan Grazer (Shazam, also stars as Nic Sheff in Beautiful Boy), Melissa Rivers (Emcee, an advocate for suicide prevention since her father's death by suicide), NFL offensive tackle Joe Barksdale. Didi Hirsch's 60-year-old Suicide Prevention Center -- the first and most comprehensive in the United States -- celebrated the grand opening of its new home in Century City in February 2019. The standalone building nearly doubles the number of people answering its 24/7 multilingual Crisis Line, a key member of the National Suicide Prevention Lifeline, and offers individual and family therapy for those who need more help than support groups can provide. Each year, the Center trains over 10,000 students, teachers, faith based groups, business people and first responders how to recognize and respond to warning signs. It is also developing certified training for mental health professionals to build a larger network of therapists who know how to aid people in a suicidal crisis. Grammy-winning recording artist and UNICEF supporter Dua Lipa travelled to Lebanon this week to meet children and young people supported by UNICEF, including many uprooted by the eight-year conflict in Syria. "You can read about the conditions or see the challenges on TV, but you don't really feel the absolute dire circumstances for refugees from Syria until you see them for yourself," said Lipa. "But the most powerful thing I saw was hope. In Terbol, I met a wonderful young girl called Yazee. She's fifteen. She dreams of one day going back to Syria and starting a business applying makeup. And in spite of all of the excuses she could have to give up, she is every day studying and practicing and learning her craft so she can one day make her dream real." "We are happy to have the support of global champions like Dua Lipa advocating for vulnerable children," said UNICEF's representative in Lebanon, Tanya Chapuisat. "She met and empowered young people who, like her, have ideas and energy to create a better world and therefore we thank her for amplifying the stories and dreams of the youth UNICEF is supporting across Lebanon." This is Lipa's first trip with UNICEF. The London-born, singer-songwriter is the daughter of Kosovar-Albanian parents who fled the conflict and political instability in the Balkans in 1992. Her family later returned to Kosovo with then 11-year old Lipa after security and opportunity returned to the troubled region a decade and a half later. "This is personal for me. My parents fled a war-torn region and built a life for themselves in a new place. And each one of the refugee children I met has parents just like my own, who have tried to make the best decisions they could for their families," said Lipa. "I feel lucky that I was given a chance, especially from an immigrant family, to have been born in the UK and been able to live my dream, because I had that opportunity and I feel like every other child should have that opportunity too. To be able to be in a place where they can thrive and be the best version of themselves." "I'm writing to urge Canada Goose to act more like its namesake (e.g., smart, brave, and willing to fly off in a new direction) by making the bold ethical choice to remove coyote fur and down feathers from its parkas." 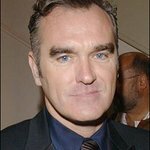 PETA will join the singer on the road to collect petition signatures from fans under a large banner featuring a howling coyote and the words "We're With Morrissey: Canada Goose, Ditch the Fur and Feathers." The petition will be delivered to Reiss at the end of the tour. A wide variety of top brands — including HoodLamb, NOIZE, Save the Duck, For All Kind, and Wuxly Movement — sell warm, stylish vegan coats that no animal suffered and died for. FilmRise, Citi, and Global Citizen have partnered together to support bringing the global community and families closer together with the nationwide Theatrical On Demand release of SPRINTER, executive produced by Jada Pinkett Smith, Will Smith, and Richard Jefferson. International advocacy organization Global Citizen will be offering a VIP ticket package in its Rewards program, for a winner to attend the FilmRise and Citi/Grove exclusive premiere screening in Los Angeles. The announcement was made jointly today by FilmRise, Citi, and Global Citizen. SPRINTER will be available Theatrical-On-Demand nationwide on April 24th on the Gathr Films platform. Gateway for Cancer Research, a non-profit dedicated to funding transformational cancer research, hosted their 3rd Annual Vino con Stelle, a signature fundraising event showcasing Wines Around the World on Friday, April 12 at the Gemini Hangar in Scottsdale, Arizona. Since 1991, Gateway for Cancer Research (Gateway) has provided over $85 million in funding for more than 170 clinical trials at leading institutions worldwide. This week, Gateway announced a $1.5 million grant to fund a first-of-its-kind pediatric brain cancer study at Phoenix Children's Hospital. Global philanthropists Stacie J. Stephenson, Director, Gateway, and Richard J Stephenson, Gateway's Founder and Chairman, served as the evening's hosts and sponsors. IMNA Solutions, a software development company that creates healthcare solutions for providers and patients, served as the presenting sponsor for the evening. "We are so grateful to Gateway's dedicated supporters who joined us at Vino Con Stelle," said Dr. Stacie J. Stephenson. "The evening was a meaningful celebration of the work we do. It also served as a reminder of all the work that remains. Too many promising discoveries don't receive the funding they deserve and we have the opportunity to change that. With the generous support of our friends in Arizona and beyond, Gateway will continue to find and fund early stage cancer research that enhances patient quality of life and contributes to the larger research community's effort to fight cancer." Actress, TV personality, and cancer survivor Brooke Burke, served as the night's emcee. Multiple Grammy Award winner Michael Bolton entertained guests with his hits, including How Can we Be Lovers, with additional performances by world-renowned vocal artists The Tenors and Sheléa. Attendees of the evening included Alycia Mondavi, a fourth generation family member at C. Mondavi and Family who is CEO and Co-Proprietor of Aloft and Dark Matter Wines. Ms. Mondavi served as a featured vintner along with Alpana Singh, Master Sommelier. "IMNA was honored to be the presenting sponsor of Vino con Stelle. Gateway is one of the few nonprofits that focuses on early stage cancer research, and it's one of the only organizations that puts 99 cents of every dollar back into the cause," said Israel Haikin, CEO of IMNA Solutions. "We all have loved ones that could have greatly benefitted from the research Gateway funds and, we share a common passion for the work Gateway is doing to help people living with cancer feel better and conquer the disease." Throughout the evening, guests enjoyed exquisite culinary creations by Chef Markus Ford and a carefully curated list of renowned wines from Australia, France, Italy and the United States. The cocktail reception wines included a 2014 Yalumba Family "The Scribbler" Cabernet Sauvignon and Shiraz Blend and a 2016 Yalumba Family Eden Valley Viognier, both generously sponsored by the Yalumba Family Winemakers. Additional cocktail wines included a Roederer Estate Brut, Non-Vintage, 2018 Domaine Ott Rosé, 2016 Tores Pazo Das Bruxas Albarino, and a 2014 Torbreck The Steading. The cocktail wines were accompanied by New Zealand Baby Lamb Lollipops, Truffle Toasted Duck Croque Monsieur, Gravlax Rosette, Curried Eggplant and Beet Concasse and Glass Noodle Spring Roll. Following the cocktail reception, guests enjoyed a 2016 Latour Puligny Montrachet from France paired with a Timale of Smoked Ahi and Hamachi Cruro Tartare, a 2013 Marchesi Di Barolo wine from Italy with a Summer Caprese Salade Composée and a 2014 Aloft Cabernet Sauvignon from the United States paired with an Herb Rubbed Twin Tournedos of Beef. Dessert featured Golden Eight, The Williams Pear Liqueur by Massenez and a Champagne Laurent-Perrier La Cuvée with a Brûléed Pear Frangipane Tart. The multi-platinum rock group Five Finger Death Punch has teamed up with the legendary Brian May of Queen and two of the biggest names in country and blues rock, Brantley Gilbert and Kenny Wayne Shepherd to record a special version of the song "Blue On Black" mixed by Kevin Churko (Ozzy Osbourne, Shania Twain, Disturbed). Titans in each of their respective genres, the artists came together to merge country and mainstream rock to re-create the classic song originally recorded and co-written by SHEPHERD. Taking Country Rock to the next level, "Blue On Black" is out today worldwide via Prospect Park (North America) and Eleven Seven Music (ex. North America). "Blue on Black is a song my band and I have covered off and on for years… songs are certified timeless when you can come back to them," says BRANTLEY GILBERT. "It's always a staple each night and one of my favorite songs to perform. When the opportunity came up to sing on Five Finger's version, with both Kenny Wayne and Brian May of Queen, I jumped at the chance… Who wouldn't?! It incorporates so many different musical perspectives, but our collaboration just works brilliantly." Gary Sinise, the Golden Globe and Emmy Award winning actor and Founder of the GARY SINISE FOUNDATION expresses his gratitude to the artists saying: "I want to send my thanks to Five Finger Death Punch, Brian May of Queen, Brantley Gilbert and Kenny Wayne Shepherd for their support of The Gary Sinise Foundation and our efforts to give back to our Nation's First Responders. I'm so grateful to have all of these incredible artists from different genres coming together to support our mission with this great song, "Blue On Black". I believe while we can never do enough to show our appreciation and gratitude to our Nation's defenders and the families who sacrifice right alongside them we can always do a little more. And you all are doing just that. So I salute you, and I thank you all. God bless." Allen Kovac, CEO of Eleven Seven Label Group, Tenth Street Entertainment and Five Finger Death Punch's manager for close to a decade adds: "From Johnny Cash's ‘I Walk The Line' and The Rolling Stones' ‘Honky Tonk Woman' to The Eagles and Willie Nelson, country and rock have shared an audience, and created some of the biggest and most successful records of all time. It's time to bring it all back again for First Responders. Let's tear down the walls!" Each spring, the Breast Cancer Research Foundation's Hot Pink Party brings together more than 1,000 of New York City's most prominent philanthropists, celebrities and tastemakers to support life-saving breast cancer research. This year, marks 25 years of BCRF's unwavering commitment to supporting cutting-edge science across the globe and ending breast cancer once and for all. The evening will honor Sonia Kashuk, who will be presented with the Roslyn and Leslie Goldstein Unsung Hero Award by Jenny B. Fine, and will culminate with an incredible special surprise performance. The Hot Pink Party is made possible by the generosity of BCRF donors, sponsors, partners and the vision of 25th Gala Co-Chairs Kinga Lampert, Aerin Lauder, and pro-bono event designer Bryan Rafanelli. Underwriters Include ascena retail group Inc., the von Mandl Family Foundation, and Kinga and Edward Lampert. Expected to attend are Host Elizabeth Hurley, Event Honorary Chairs Judy & Leonard Lauder and Debra & Anthony von Mandl; 25th Gala Co-Chairs Kinga Lampert and Aerin Lauder; Event Co-Chairs Sandra Brant, Patsy & Patrick Callahan, Cindy & Rob Citrone, Roslyn Goldstein, Marjorie Reed Gordon, Dee & Tommy Hilfiger, Donna Karan, Shelly & Howard Kivell, Michael Kors, Kinga Lampert, Aerin Lauder, Jane Lauder, Jo Carole & Ronald S. Lauder, Laura & Gary Lauder, Lori Kanter Tritsch & William P. Lauder, Adrienne & Dan Lufkin, Lois Robbins & Andrew Zaro, Pat & John Rosenwald, Jeanne & Herbert Siegel, Arlene Taub, Lizzie & Jonathan Tisch, Ingrid Vandebosch & Jeff Gordon, Vera Wang and Candace King Weir. Additional special guests to include Tory Burch, Nina Garcia, Jill & Harry Kargman, Carolyn Murphy and more. TICKETS: To purchase tickets please visit HotPinkParty.org or call 646-497-2650. 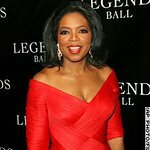 At the inaugural Empowerment in Entertainment Gala, The Hollywood Reporter will honor iconic media mogul Oprah Winfrey with the first ever Empowerment in Entertainment Award, presented by multi Grammy-winning winning musician Alicia Keys, for her decades-long work as a champion and fierce advocate for inclusion in entertainment. The event will be accompanied by a dedicated issue of The Hollywood Reporter spotlighting 50 "agents of change" who are leading the entertainment industry's efforts in this area. 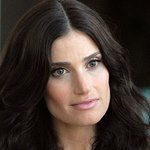 The gala will also celebrate the formal launch of the Young Executives Fellowship program, a joint venture from WME (William Morris Endeavor); Amazon Studios; the Compton, Inglewood and L.A. Unified School Districts; Big Brothers Big Sisters of Greater L.A.; USC School of Cinematic Arts; Howard University and Emerson College. Actress and singer Selena Gomez is set to introduce the initiative, which aims to create a pipeline for teenage boys and girls from underserved communities in South and East L.A. to become future leaders in the film, TV and music business. Acclaimed journalist Don Lemon will deliver the keynote address with Academy Award nominee Kumail Nanjiani set to give opening remarks. Recognizing individuals who have created opportunities for people of color, women, members of the LGBTQ community and other emerging voices in the industry, the gala is presented by WME with platinum sponsor Amazon Studios. The event is also sponsored by eOne, IMAX, OWN, and Starz. The event takes place on April 30 at Milk Studios, 855 North Cahuenga Boulevard, Los Angeles. In a new op-ed in the Washington Post, The Sentry's Co-Founders George Clooney and John Prendergast write: "Sudan's courageous protesters need more than words. They need strong international action for real change to have a chance." Focusing on the critical role that the international community can play in support of the protesters, they add: "As a result of the documented corruption and lack of adequate anti-money-laundering controls recently highlighted by the Sentry, regime elites are likely expanding their efforts to hide their illicitly obtained wealth outside Sudan. Pursuing this capital flight would provide real support to Sudanese protesters. The U.S. Treasury Department and other regulators around the globe should issue public advisories to their financial and real estate sectors warning of the risk of asset flight from Sudanese ‘politically exposed persons' to their jurisdictions. And the United States should use Global Magnitsky Act sanctions against officials responsible for mass corruption and rights abuses." Food Bank For New York City, the city's leading hunger-relief organization working to end food poverty throughout the five boroughs, celebrated vital community members and friends at its annual Can Do Awards Dinner last night, raising more than 9 million meals in the fight against hunger. The evening honored Chef José Andrés; David Burtka & Neil Patrick Harris; Hildy Simmons; and Stop & Shop for their commitment to hunger relief in New York City. The star-studded annual gala is instrumental in raising funds and awareness to provide support for the 1.4 million New Yorkers who rely on Food Bank For New York City's programs and services. Sponsored by Bank of America and chaired by Lee Brian Schrager and Jodisue Rosen & Scott R. Feldman, the event featured a live auction conducted by Christie's Lydia Fenet, as well as a performance by Motown sensations The Four Tops who delighted the crowd to classics, including "Baby I Need Your Loving," "It's the Same Old Song," and "I Can't Help Myself (Sugar Pie Honey Bunch)." Other notable guests included Katie Lee, Luann de Lesseps, Alex Guarnaschelli, Marc Murphy, Cassandra Freeman, Adam Richman, Thom Filicia, Ellie Krieger, Jessica Keenan Wynn, Lili Mirojnick, Jill Hennessy, Jonathan Tucker, and Ariel Fox. The evening celebrated the many ways that New Yorkers have driven and continue to propel and support Food Bank's goal of ending hunger, and each awardee was honored for creating lasting, positive change in New York City and across the globe. "Food Bank's mission rests on decades of personal legacies of good will New Yorkers chose to establish with this organization," said Margarette Purvis, President and CEO of Food Bank For New York City. "When people decide to leave their normal lives and just try to change the life of a fellow citizen of the world, those are the people who truly deserve an award," said José Andrés. "This organization does such important work, changing the lives of so many New Yorkers, and I've loved spending time supporting them and sharing that sense of giving with our kids," said David Burtka. "Food Bank has helped them develop a sense of pride and appreciation for the value of volunteering, which, as parents, is wonderful to witness." 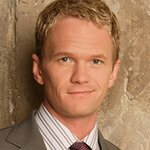 Neil Patrick Harris added, "I really do think it's important to represent yourself well to your children, to show them examples and opportunities and possibilities of how to be better." Since its inception, the Can Do Awards has raised the funds to help Food Bank provide 105 million free meals for New Yorkers in need. Every dollar donated to Food Bank provides five meals for NYC residents experiencing food insecurity.